Tower Bridge Exhibition. 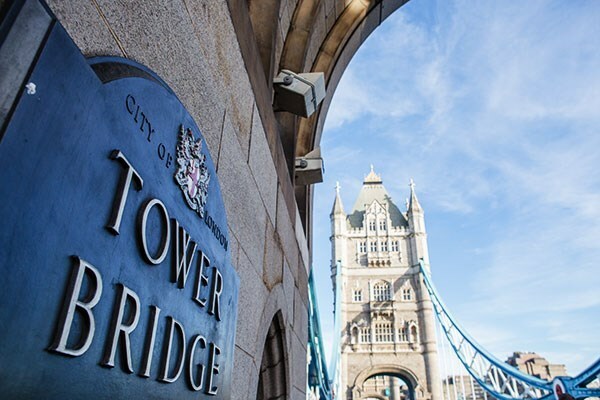 Experience the Tower Bridge Exhibition and new walkway. Do you fancy walking across the new walkway at Tower Bridge in London? The brand new and spectacular glass floor across the high-level Walkways of Tower Bridge offer visitors a never-seen-before view of London life, from 42 metres above the River Thames. Look down to spy those famous red London buses and pedestrians whizzing over the Bridge while river vessels sail under it – and if you're lucky, the truly magical experience of the bascules being raised beneath your feet. The glass floor measures 11 metres long and 1.8 metres wide and comprise of panels weighing 530 kilograms each. But it's not just about the walkway, you also get a full tour of Tower Bridge, including visitng the Engine rooms as well as learning all about the history of Tower Bridge in London. Choose just tickets, or combine your Tower Bridge experience with afternoon tea or even a River Thames cruise.